Recently, Genron, a Japanese non-governmental organization, teamed up with the state-run Chinese newspaper China Daily to conduct a survey about how people living in Japan and China felt about the two countries’ relations with one another. The results of the poll were a bit shocking. 53.4% of Chinese citizens believe that a conflict between China and Japan will happen in the near future, with a significant portion saying they believed it would happen within the next five years. In Japan, only 29% of people believed that a conflict was very likely. 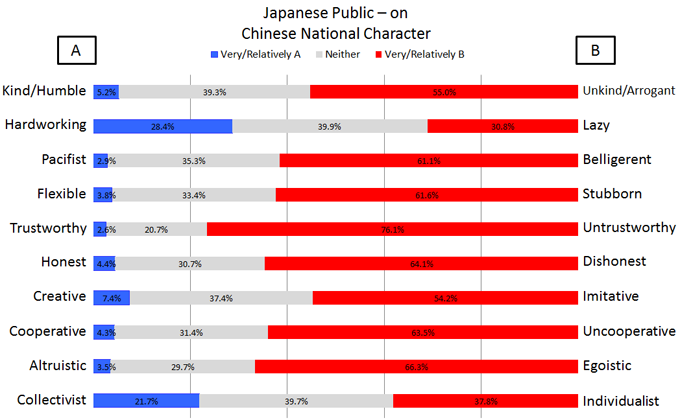 However, a whopping 93% of Japanese citizens have an unfavorable impression of China. said a joint statement from Genron and China Daily. 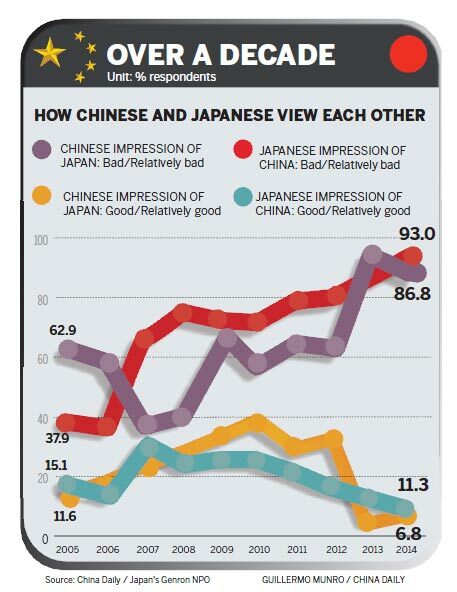 The poll also found that 86.8% of Chinese citizens had an unfavorable impression of Japan. So where’s this all coming from? China and Japan have a long history of conflict. Both countries lost countless lives fighting one another during World War II, and many Chinese citizens have never forgiven Japan for the Nanjing Massacre. Following World War II, Japan adopted a pacifist post-war stance which basically limited the Japanese military to defending the island, preventing them from fighting on foreign soil. But current Japanese Prime Minister Shinzo Abe announced this past July that Japan would be re-interpreting this pacifist stance. Reports are that this re-interpretation will allow Japanese troops to fight alongside the country’s allies in foreign conflicts. The poll comes at a time when the U.S. and Tokyo are discussing the prospect of Japan acquiring new offensive weapons and military technology, prompting suspicions amongst many Chinese citizens. Also, the conflict over the Senkaku Islands has been adding an additional strain to diplomatic relations between the two countries since it was re-ignited in 2012. Read the original story from the International Business Times here. 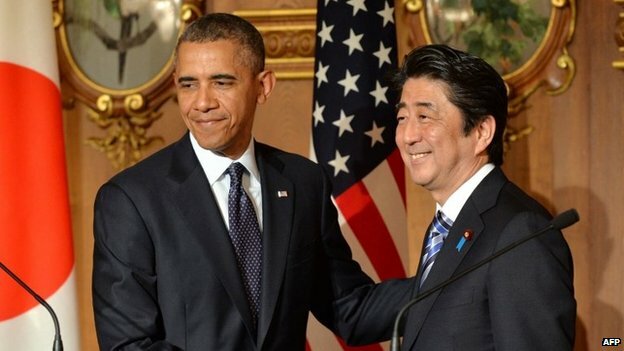 Why Is the Japanese Equivalent of the BBC Trying to Re-Write The Country's WWII History? Wife of Japanese Prime Minister: "Fukushima Much Worse Than Thought, So Much Hidden"